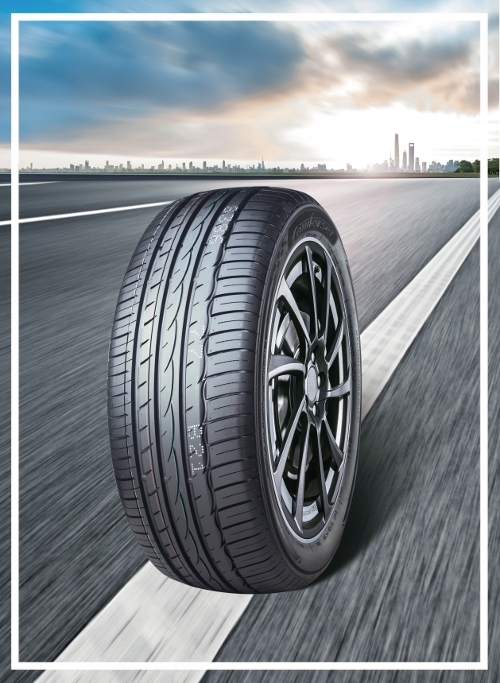 The CF 710 car tire is engineered for high performance with an asymmetric tread design that optimizes cornering, braking and high speed driving. The outside tire shoulder is reinforced for improved turning performance, while the inside shoulder has multiple sipes for excellent water drainage to prevent aquaplaning. The wide center rib provides stability for high speed straight-line driving and the softer high-silica tread compound ensures phenomenal braking performance.